From my Baby Girl, Tricia – She luvs her Mommy! Happy Wordless Wednesday is a great day to post an awesome picture that “speaks” for itself, no words needed OVER AT JAVA’S! So, I’ve found a new home for Wednesday, and I blog-hop all day long looking at great pics! How about you? I’ve been very busy transcribing some work the last few days that I never told you about my mother’s day. Well, short and sweet we went by my daughter, Tricia’s (Nightowlmama) house and here are some happy faces of that wonderful day! And of course Daddy and the boys, but Daddy gets his lime light next month! For more Wordless Wednesday visit 5 Minutes 4 Mom, Here and There, Go Graham Go, and Hobo Mama’s WW Linky List! Looks like you had a great Mother’s Day! I got to work. Lucky me. Wonderful. So much love. 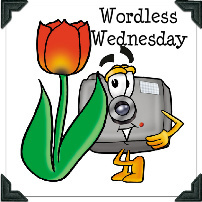 I just did my first Wordless Wednesday post. I found you from the hop. How beautiful your daughter & granddaughter are together. Thanks for sharing that with us, and that just looks like one big happy family. Have a wonderful day. Awwww I love getting flowers. Awww that is so sweet. Makes me smile and think of the future. Glad you enjoyed Mother’s Day. It looks like you had a wonderful Mother’s Day! Graham also picked out some flowers for me… so sweet! Awww! I’m glad you all had a wonderful Mother’s Day cause you deserve it! Such lovely flowers you got… how nice of your daughter! That’s great that you all got together for a BBQ. I think I see flowers on Tricia’s counter also… how nice for her also. Glad you all had such a great Mother’s Day. that was so sweet.. thanks for sharing such lovely photos..